Pothnak Pradeep, his wife Kathika and their friends had driven to the lake to celebrate his birthday and were returning when the car reportedly lost control, flipped over and fell into a ravine. Four others, including his wife, were injured in the incident. 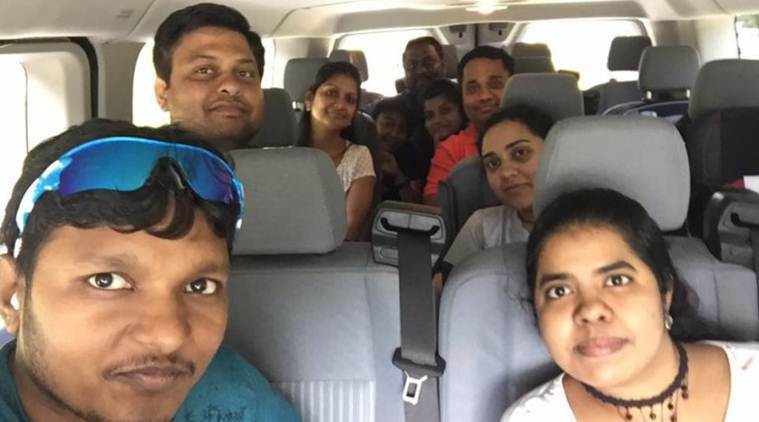 A software engineer from Telangana was killed in a car accident on Sunday while driving home to Greensboro, North Carolina, after picknicking at Sutton Lake, West Virginia, with his family, reported Telugus Today. Pothnak Pradeep, his wife Kathika and their friends had driven to the lake to celebrate his birthday and were returning when the car reportedly lost control, flipped over and fell into a ravine. Four others, including his wife, were injured in the incident. Pradeep had previously mentioned the trip on Facebook. Pradeep, who hails from South India, completed his schooling from Rishi High School at Bhongir after which he received a computer science engineering degree from Malla Reddy Engineering College in Hyderabad. He moved to the US eight years ago. P Murali, his father, is a BJP councillor from Bhongir Municipality which is 48 kilometres from Hyderabad. Pradeep, 28, had taken to Facebook ahead of his birthday to inform his friends he’d be celebrating the day at Sutton Lake. His family back in India was informed of his death last night around 8.00 pm. Pradeep Pothnak (28), along with couple of our colleagues and their family planned for camping in West Virginia to celebrate his birthday. Sunday Jul 2nd 2017. Pradeep and four other colleagues left the of camp area early morning around 5:30 am to grab coffee. With in close distance to the camping area they met an accident and everyone in the car were taken to Braxton county memorial hospital where doctors treated and declared Pradeep is no longer with us. It is very unfortunate and we have lost a wonderful person and a good friend . We are trying our best in gathering all we can to support all the activities. Currently body is in Charleston WV and TANA confirmation taking over the ownership of transferring him to NJ and then to India. We have submitted all the documentation in need for the transfer. His wife karthika is planned to board the flight later today to her home town.